Monitor corn and soybean fields in Ontario for brown marmorated stink bug presence and feeding damage. Increase education and awareness of homeowners, growers and crop specialists. The development of an early detection system to monitor brown marmorated stink bug (BMSB) will lead to a better understanding of their distribution and will facilitate rapid response and ensure implementation of appropriate management strategies to limit crop damage in corn and soybeans. The education of corn and soybean producers, agricultural representatives, consultants, homeowners and citizen scientists on proper identification of BMSB will increase awareness and improve identification of overwintering sites and aid detection of this new invasive species. Brown marmorated stink bug (BMSB), Halyomorpha halys Stål, is an invasive pest from Asia. It was first detected in Pennsylvania in 2001 and has since spread to 41 states and two provinces, including Ontario and Quebec. BMSB has become a significant pest of several host crops in the Mid-Atlantic US, including corn and soybeans. Corn kernels and soybean seeds are punctured by their piercing mouthparts, and injury results in discolouration and shrivelled, unmarketable product. BMSB is also a possible vector of purple seed stain and can delay maturity in soybeans and cause aborted ears in corn. The highly mobile BMSB are known to move between crops, extending the activity within a crop which results in additional monitoring and more intensive management practices. Only through monitoring, education and awareness are we able to detect their presence and respond accordingly. This three year survey project aimed to monitor field crops and several urban, natural and high traffic/tourist locations with known tree host species. 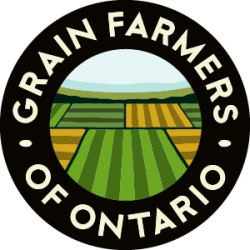 The project relied on collaboration between the extension personnel and summer staff from OMAFRA; researchers from University of Guelph and Agriculture and Agri-Food Canada; and 70 grower co-operators and crop consultants. Grower co-operators and crop consultants were involved in providing field sites to monitor throughout the summer. To determine tree host species for BMSB, the following host trees were targeted for sampling: buckthorn, ash, Catalpa sp., choke cherry, crab apple, dogwood, American cranberry bush, honeysuckle, lilac, American basswood, Manitoba maple or box elder, mulberry, rose, tree of heaven, walnut, and wild grape. Tree hosts were monitored early in the season, while host crops were monitored later in the season, when pods or corn ears were forming. Monitoring of field crop fields included 133 fields in 2012, 127 fields in 2013, and a more focused effort of 63 fields in 2014. Ontario was the first to confirm that buckthorn is a very good and long season host for BMSB, which due to the widespread distribution of this invasive plant in Ontario, increases the number of fields at risk. No field established BMSB populations were found in any host crops during this study. Through increase public awareness campaigns and establishment of the OMAFRA Agricultural Information Contact Centre as the key contact for suspect BMSB finds by homeowners and citizen scientists, we have determined that BMSB has spread across much of the province. Over 250 overwintering populations were confirmed by homeowners and four established breeding populations were found in urban settings by collaborating researchers. 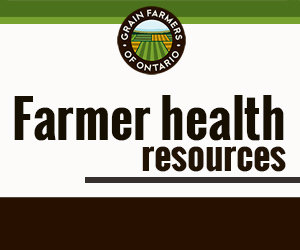 Through our monitoring efforts, BMSB has now been detected and/or established in 31 locations across southern Ontario, with no detections found in crops as of April 2015. This rapid spread and increased number of detections indicates that it is only a matter of time before BMSB moves onto host crops in Ontario. This monitoring project is continued in the project titled, “Monitoring for brown marmorated stink bug in Ontario corn and soybean” (2015 – 2018).